Check out these “early birds”! The ruby-thoated hummingbirds are letting us know that spring really is here. It was March 25th last year that I reported that the hummingbirds were spotted in Ohio for the first time. Take a look at the difference on the Hummingbird Map. This year the first ruby-throated hummingbirds were picked up in Ohio on March 19, 2012. That is almost a full week before they arrived in 2011. The ruby-thoated hummingbirds as of March 20th and 21st are as far north as the Great Lakes, northern Illinois into Wisconsin and into the central part of New York. It really is going to be an early spring and what a nice gift to have your hummers returning to your area sooner. After spending the winter in Central America and Mexico, the migration of the ruby-throated hummingbirds takes about two or three months to complete. The males lead the way with the females following about one and a half weeks behind. Here are a few interesting and amazing facts about the ruby-throated hummingbirds. These little hovering birds often fly upside down and backwards. They flap their wings around 53 times a second. This hummingbird species is the only one that breeds in the eastern part of North America. 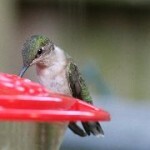 The 2012 ruby-throated hummingbird migration has begun, get your hummingbird feeders out and filled up. The little guys are here early and they are hungry—they had a very long journey. I put my hummingbird feeder out yesterday and am waiting for the first ones to pass through here or, better still, for my hummers to be back for the summer. 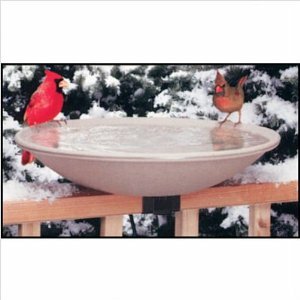 They remember where the feeders were last year so keep them in the same place.